In a slightly future world, the Lazarus Serum can bring you back from the dead. As long as you've not been dead for more than a couple of hours and as long as your body itself isn't too messed up. And as long as you are of a particular blood type. However, when you come back, you've changed - you're a Pale, an outcast. You may feel the same, speak in the same voice, even look like s paler version of the old you, but you are a second class citizen. Jed and his mates hate Pales. They'd rather stay dead than come back as one of those- school is no place for dead kids and they make sure that the Pales know they're not welcome. When Jed has a fairly fatal accident, he is Returned as the thing he once hated, and he has to learn what it's like to live as an outcast, rejected by his family and his friends. Can he survive as a Pale? 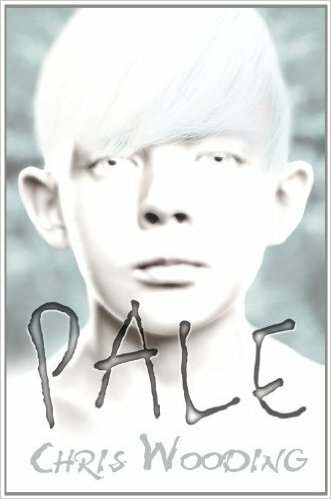 Coming in at around 70 pages, Pale is definitely not a long book, but it does manage to confront themes of prejudice, violence and discrimination well despite its short length. It does a good job of forcing Jed to reassess his prejudices, and shows the reader quite plainly the pointlessness of such mindless prejudice. It's short, easily readable and engaging, and I think it achieves its objective of enticing non-readers to pick up a skinny book. It holds the reader's attention well, and I think the idea of an intentionally unlikeable narrator, coupled with the very discussion-friendly themes will make this an eye-opening experience for its target audience. I don't know if I'm thinking too hard about what is supposed to be quite a speedy, simple plot...but why would you bring your loved ones back from the dead, knowing that they would live a (perhaps endless) life of misery and persecution? Especially if you're going to abandon them straight after they regain consciousness. And especially if you've made a career out of dehumanising and displacing them. Also- what is the social benefit of the Lazuras Serum? I felt that the concept of the novel definitely had huge potential, and the accessible format of the book didn't give the story chance to develop these ideas. Is the Government breeding a slave-class? Then there's a rebellion of some kind, where the Pales start snatching the living and turning them into the thing that they have been taught to fear. Like the 3rd X-Men film...then a resolution where Pales are integrated back into society? There was too much possibility to cram into 70 pages. All in all, I really liked the concept of this little novella, but I thought the story had a lot more scope that the little glimpse of the world we got here. I think struggling and non-readers are going to love it though, because it does bring up ideas of discrimination and the way we treat people that, in reality, are no different.